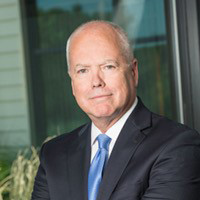 Kurt Isaacson, M.B.A., joined Spectrum Health Systems in 2013 as Chief Operating Officer, a position he held for three years before being appointed President and Chief Executive Officer in 2016. Mr. Isaacson has been instrumental in Spectrum’s significant growth and expansion since joining the organization. He is a seasoned behavioral health administrator, having more than thirty years of experience managing a number of multi-site organizations located throughout the country. Mr. Isaacson holds a master’s degree in business administration and a bachelor’s degree in health services administration.